It was a warm July day. Perfect for sunning in the park and taking excess clothing off. She liked me. I liked her. He liked Annie. Annie liked him. This was going to be Great! But then another intruder showed up to break up our revelry. This guy was clearly mentally ill, lonesome, and needing some friendship, but I couldn’t stand the thought of wasting even another minute more before seeing where all this was going to lead. So I took him by the arm and walked him to the edge of the park explaining how this was a once-in-a-lifetime kind of a thing that just might be happening and it really needed to be just a foursome. He said he totally understood, wished me luck and left with a smile on his face. It was then that I came to appreciate how effective honesty can be in terms of being persuasive. I made his day because he thought of me as a friend who had entrusted him with some pretty secret information. Now I needed to find out if all of us were in on this “secret.” First I started with Annie who said she could see herself kissing this other guy. Then I put my arm around “Sagittarius” (don’t think any of us remembered each other’s names) and she leaned in for a kiss. Annie took “Gemini” by the hand and they went for a walk. None of us went all the way, but I’m telling you those feelings I had that Sunday morning were as great as they get, and me and Annie decided for sure we had to get a sleeping car. We departed in different directions at the train station, and Annie and I had enough time before our train left to get to a market for some cheese and bread, cherries and yogurt, to enjoy tasting and licking in our sleeping car, me popping cherries into her mouth. Plus we still had some wine left. The night time views of the Lake Superior Coast were magnificent, and so were the close by views. *Oh, that joke I told in the first daily dose of this story, I forgot on purpose to tell the punch line until now: So this lady gets on the plane with her poodle and draws a seat next to a guy smoking a cigar. 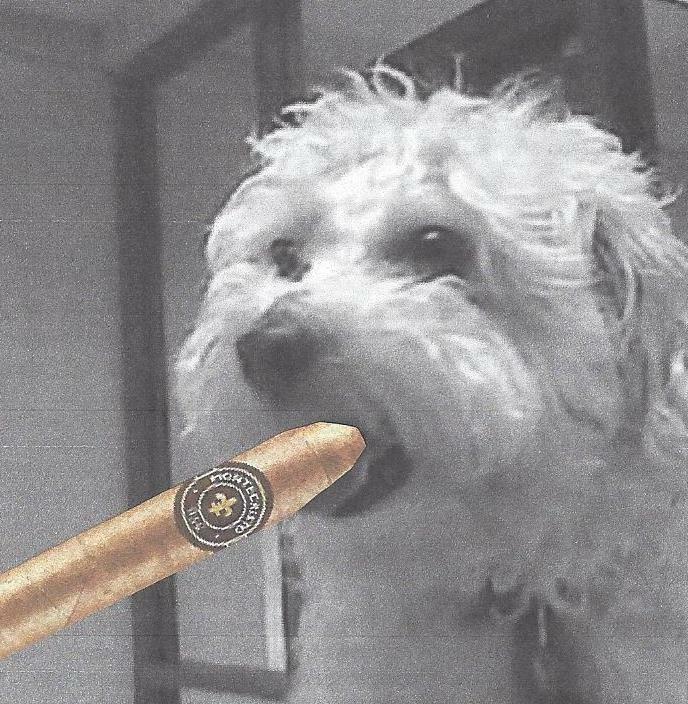 She doesn’t like the cigar smoke; he doesn’t like the poodle’s yip-yipping. So they agree to open the window; he tosses out the cigar and she tosses out the poodle. A minute later there’s this scratch-scratching on the window and it’s the poodle. And guess what the poodle has in its mouth? A brick! Remember the joke in Dose 1?